Although plenty of bud is still being sold in ziplock bags these days, none of it is being sold that way on the legal market – not in Cali, not anywhere. 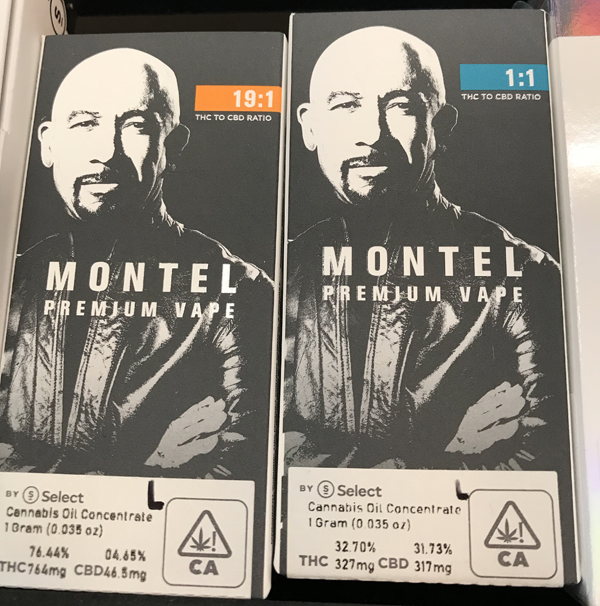 The way that it is playing out in most California cannabis supply chains is that distribution companies are buying product in bulk and then packaging it into smaller quantities like pre-rolls, 8ths of flower, grams of extracts, etc. to be sold at the retail level. The package shall protect the cannabis, including pre-rolls, from contamination and shall not expose the cannabis or pre-rolls to any harmful substance. The package shall be tamper-evident. If the package of cannabis or pre-rolls contains more than one serving, then the packaging shall be resealable. The package shall not imitate any package used for goods that are typically marketed to children. After January 1st, 2020, even more regulation will be imposed on cannabis packaging requiring that packaging be child-resistant at least until the package is first opened. Additionally, after January 1st of next year all orders must be placed in an opaque exit bag before the customer leaves the store. Remember when you used to go to the grocery store and the checker would ask you “Paper or plastic?” for your shopping bags? Now they charge you a dime apiece and give you the stare of shame if you don’t show up with your own reusable bags, yet the cannabis industry is going the opposite direction. Since we’re already strolling down memory lane, remember when the best way to get your weed to sell was to, ya know, grow good weed? That crucial criterion was about as deep as most cannasseurs would go. These days, you’ll be lucky to get an actual glimpse of any strains that catch your eye, and you can all but forget about smelling them at most legal retail dispensaries. 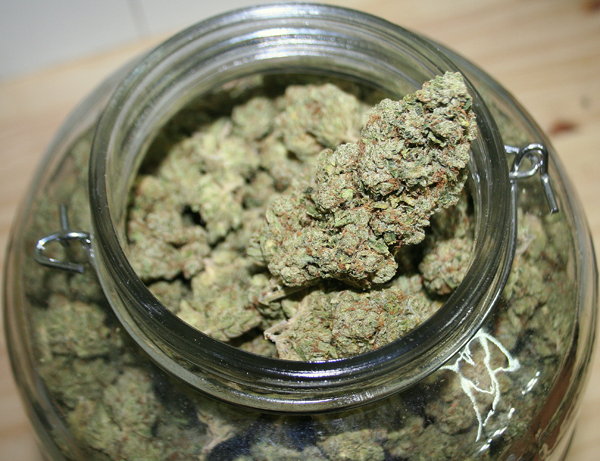 Gone are the days of watching a budtender pull a massive jar full of several ounces of bulk buds up onto the counter and ever-so-thoughtfully smush and cram them into those quaint little pop-top plastic pill jars. While that was usually a cringe-worthy experience in its own right, and while that old school simple packaging was far from Earth-friendly, they were both a dream compared to the sterile retail experience that you’ll find at many of today’s dispensaries. It is against state law for a retail dispensary to package any goods for sale. They must receive them in their final, lab-tested, packaged form from a licensed distributor. This has led to an incredibly competitive wholesale marketplace where instead of shoving a turkeybag full of gassy OG in some manager’s face to make a sale, now the packaging itself is being scrutinized as heavily as what it contains, giving a whole new meaning to the term ‘bag appeal’. Now, it is not uncommon to buy one single pre-roll that is packaged in a plastic tube with a separate plastic child-resistant threaded lid which is then placed inside a box and sealed once more with a tamper-evident sticker or band. Of course, there is time and labor spent on design and printing of this extra packaging as well and those costs are absolutely trickling down to the consumer’s receipt. All of that for a consumable product that is gone 10 minutes after you spark it. Another egregious offender is pre-filled vape pen cartridges. They too are often way too overpackaged, with the added detriment of being a non-biodegradable waste product alongside their packaging once they are empty. They have become the new roach but at least a roach will return to the earth once discarded. Check out this all-in-one kit from Caliva – so much paper and plastic product to deliver an 8th of “pre-shredded” weed and some toss-in accessories to the market. Meanwhile, all of the packaging piles up. 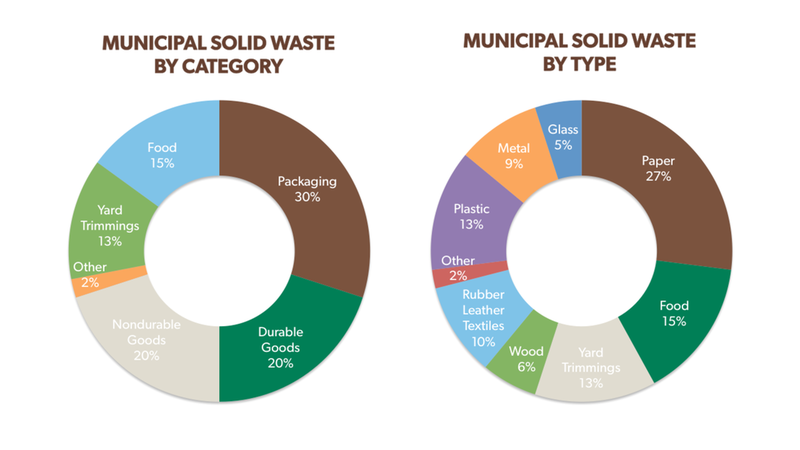 According to a 2016 report by the Environmental Protection Agency (EPA) titled Advancing Sustainable Materials Management, general product packaging makes up 30% of all municipal solid waste making it, bay far, the largest offender of all categories. Roughly 50% of all plastic produced is used for packaging - usually packaging other plastic crap. The vast majority of it will end up in the garbage on its way to clogging a landfill within one year of its production. One possible solution would be for the state to implement a program by which licensed retailers could reclaim used/empty packaging from their customers who could be incentivized to do so with discounts or rebates for future purchases. The retailers could be incentivized to participate by the state who could offer them rebates or credits of their own toward their annual licensing fees. Whether it is recycling, composting, or other waste management options, waste recovery remains a major challenge for our society but marijuana and its newfound voice in the mainstream could lead a powerful and necessary retail recycling revolution. But perhaps the most sensible and sustainable solution is growing right under our noses. Hemp bioplastics have been around nearly as long as plastic itself, but like the hundreds of other amazing uses for the plant, the tech has been shelved for decades under the ignorant prohibition of cannabis at the federal level here in the U.S.
Hemp-based bioplastic is biodegradable and the plant itself grows like. . . well, like a weed as a regenerative crop that can be harvested annually with massive yields and many uses. Why indeed, Mr. Ford. . . Enter Sana Packaging, based out of Denver, Colorado, a forward-thinking packaging company with a vision of a responsible and regenerative cannabis industry and the know-how to make it happen. Sana creates packaging options for pre-rolls, dry flower, extracts, vape pens, and more and they do it all using both hemp-based materials as well as material created by recycling plastics recovered from the ocean. Their products are truly “Made in the USA” with their hemp being sourced right here at home from states like Kentucky and Colorado in their quest to support domestic agriculture and manufacturing. In 2018 a publication called the Hemp Business Journal predicted that hemp bioplastics would become a $7-10 million dollar industry by the year 2022. When the 2018 Farm Bill was passed in December of last year ending the senseless prohibition of the hemp plant, that same publication was forced to reconsider its earlier prediction and amend it by a factor of four up to $28 million+ annually by 2022. Sana Packaging is poised to harvest a substantial amount of that revenue while also having a positive impact on the environment. 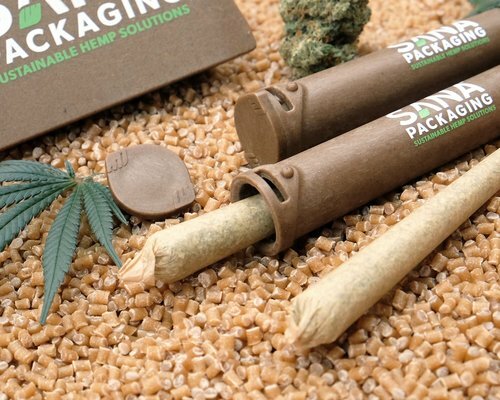 In addition to their hemp-based solutions, the company recently announced their own version of “seed-to-sale” with what they call Shore to Store – an innovative and Earth-friendly line of packaging options created from recycled plastic reclaimed from our oceans. In a partnership with a company called Oceanworks, a chain of custody record on the raw materials earns the packaging a distinct mark denoting its authenticity and further pushing Sana’s effort to truly make cannabis packaging something we can be proud of. “This is an incredible opportunity to help clean our oceans and protect some of our planet’s most fragile ecosystems,” says Ron Basak-Smith, co-founder & CEO of Sana Packaging. The cannabis plant is rooted in sustainability, regeneration, and a hearty respect for nature and it is well past the time to hold our packaging of it to those standards.